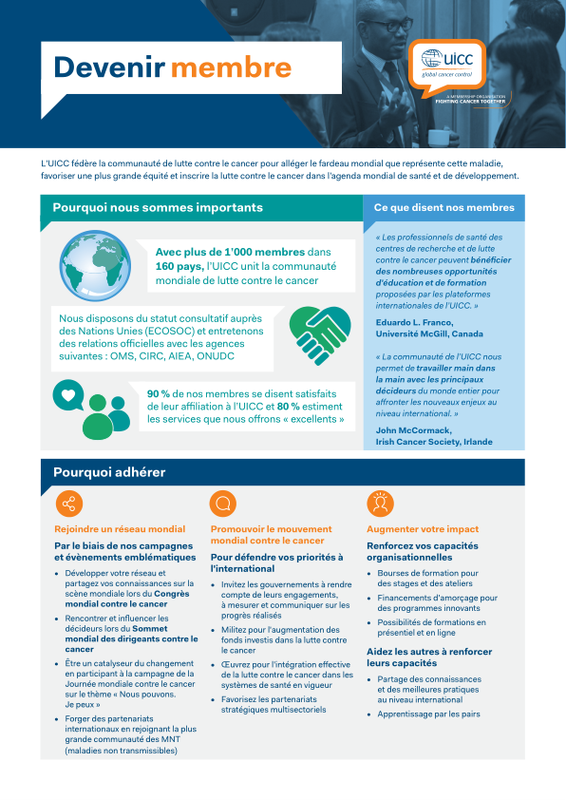 UICC members share a passion to eliminate cancer as a life-threatening disease for future generations. 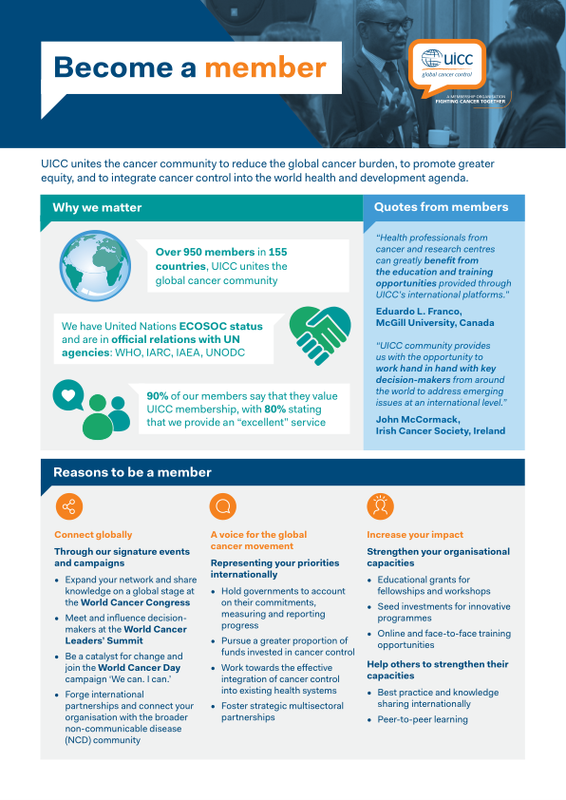 Current UICC membership comprises more than 1,100 member organisations in 170 countries and continues to grow. Organisations that join UICC become part of an international movement to place cancer at the top of the global health agenda. There are two categories of membership with many benefits. Join us today, apply for membership now. To learn about the coming events of our members, please visit the calendar of events.